Please read and understand my first question before proceeding. This one should be worse. 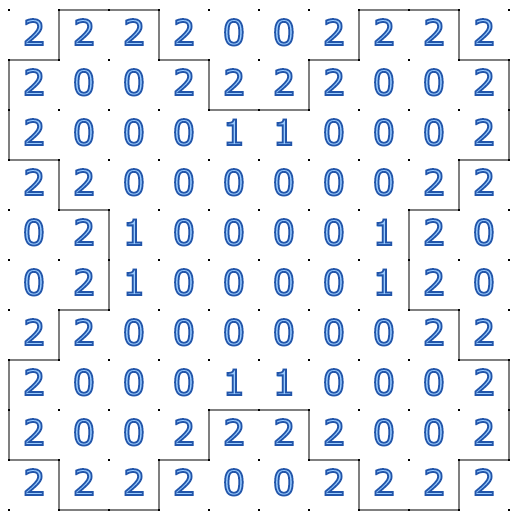 These puzzles were generated by computer. A good solver has no problem solving them, so I can't just ask for people to find the solutions. That's why I'm just giving the solutions to you up front. Fair warning, these are super hard to solve by hand. I did think of a different question I could ask, but we need to define some things first. 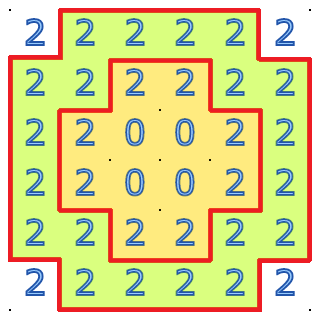 A Slitherlink of Twos is a typical, square cell, Slitherlink puzzle where each cell is either a "2" or left blank. It may have any grid size, even rectangular ones, just nothing weird like an "L" shape. It must have exactly one loop for a solution. Let us also define backfill as the process of, having solved a Slitherlink puzzle, going back and filling in each blank cell with the appropriate number for the solution. 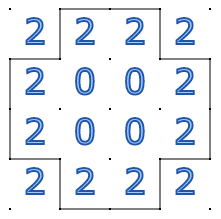 As we learned from the previous question, for a Slitherlink of Twos, we would expect that when we backfill a typical puzzle we would at some point be adding ones or threes. Can you, when you backfill any Slitherlink of Twos, add a zero to a cell? Well, look what I found. Another shot at a Slitherlink! Yes, there is (at least) one solution. With these things in mind, I do not see another way to have a Slitherlink puzzle with only zeroes and twos than the one that I found. I would be interested to see if someone's found another way!